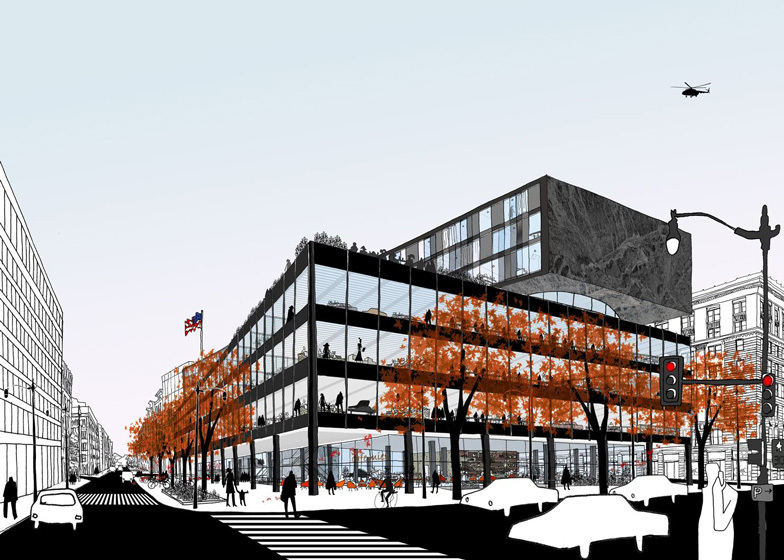 News: Dutch firm Mecanoo has won the competition to renovate Mies van der Rohe's Martin Luther King Jr Memorial Library in Washington DC. Mecanoo, who recently completed the largest public library in Europe, teamed up with local firm Martinez and Johnson Architecture to plan the $150 million overhaul of the city library, which was Mies van der Rohe's last building and was completed three years after his death in 1972. The brief asked designers to explore two options for the building: to retain it as a stand-alone library or to extend upwards and convert it into a mixed-use complex. The architects will now work together with library staff to decide the best approach. "My dream is that people will start to love this building so much that they even bring their books from home to read in the library," said Mecanoo principal Francine Houben, during the design presentation. She continued: "We will pay respect to Mies van der Rohe and research what is possible to prepare this building for the library of the future. But most important is bringing out the values of Martin Luther King. My dream is to make this building to reflect his ideals." Ten architects were originally shortlisted for the project, including OMA and SOM, and the list was whittled down to three at the end of 2013.